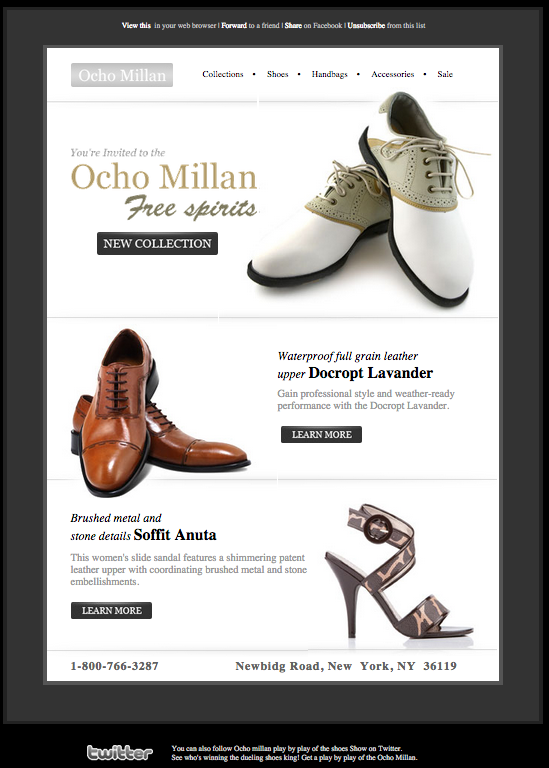 We design and code memorable and capturing templates for your campaigns. Our designs are exquisite, and created with readers in mind. We'll get the design you need done quickly, according to your regulations. 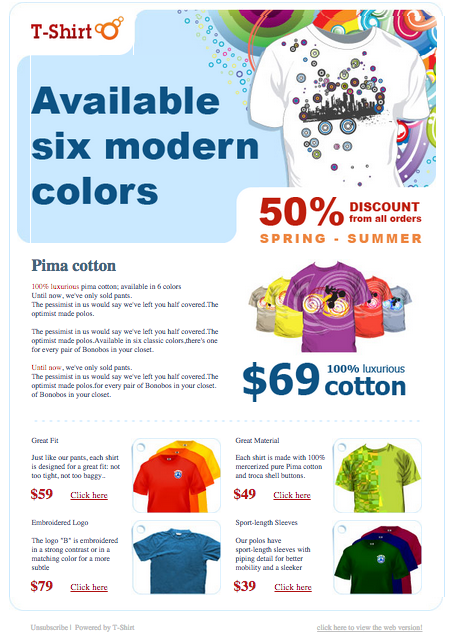 We guarantee that all of our designs are compatible with most of the top email clients, so you can be confident your campaign will look right to all of its recipients. 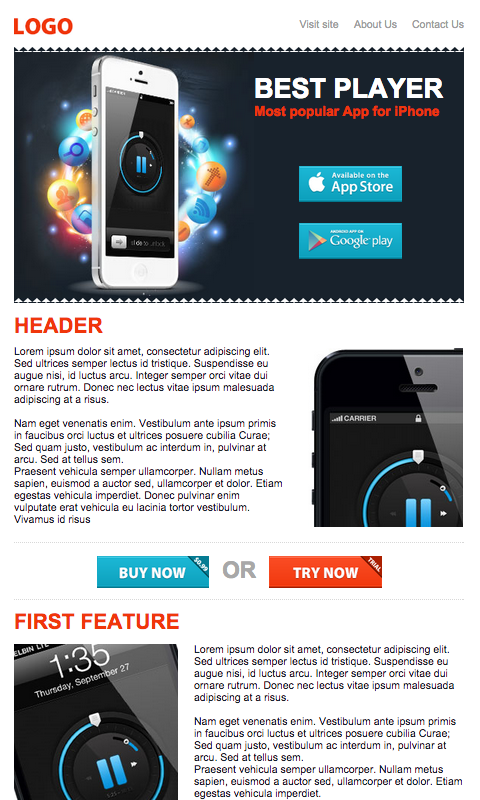 For one Newsletter/Template design we charge 200 usd for psd. If you want us to cut the psd to html (responsive) we charge: 150 usd. Find below some examples we've done.